An adventure far from the ordinary is closer than you think. Dance with stingrays, explore a crystal cave, and enjoy five-star dining under twinkling stars. Whether it’s historic ruins, vibrant coral reefs, thought-provoking museum exhibits or the sun-soaked shores, Grand Cayman has something for every kind of thrill seeker. From Atlanta, daily, through March 1, 2020. From Detroit, Saturdays, through April 27, 2019; December 21, 2019 – January 4, 2020. From Minneapolis, Saturdays, through March 1, 2020. Delta Vacations gives you more ways to rack up miles, and earn toward your Medallion® Status. SkyMiles® Members earn 2,000 bonus miles per person, in addition to credited flight miles, with a flight and hotel package. If you're not already a SkyMiles Member, enroll today. 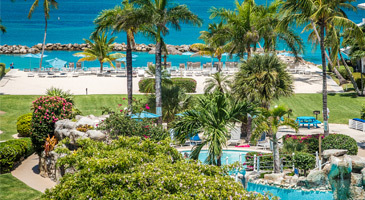 *Sample Pricing: TThis offer is available from hundreds of origin cities, but this price, which reflects the offer, is based on travel between Atlanta and Grand Cayman, staying at the Margaritaville Beach Resor, Grand Cayman. Price is per person, based on double occupancy and select Sunday departures and Wednesday returns, July 18 – 31, 2019, and is subject to change. Additional restrictions and baggage charges may apply. See Terms and Conditions for details. **Minimum night stays, select travel dates and other restrictions may apply. See Hotel-Provided Offer Terms and Conditions for details. †Flight routings subject to change without notice. Inspired by the lyrics and lifestyle of Jimmy Buffett, this relaxing oasis offers an extensive array of Caribbean flavor and personalized service. Enjoy a variety of dining options, friendly concierge service, in-room massages and the crafty kids club. This beach house experience blends chic decor and upscale amenities into warm, inviting living spaces. Relax in the Anchor & Den lounge with family and friends, enjoy delicious treats at the pool, and join the weekly bonfire on the beach. 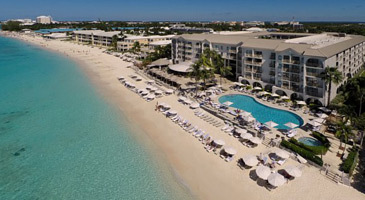 Sitting beachfront, this relaxing escape is within easy reach of attractions on Seven Mile Beach. Guests can recharge with an energizing breakfast, unwind with live music as the sun sets, and rejuvenate with treatments in the Hibiscus Spa. This 144-acre resort spans a natural landscape on the renowned Seven Mile Beach. Savor the Caribbean's only AAA Five Diamond dining experience, the world-renowned La Prairie spa, a Greg Norman-designed golf course and much more. This quiet, all-suite gem features landscaped grounds dotted by hammocks, just a few feet the seashore. Amenities include a golf course, cycling trails and easy access to attractions across the street from Seven Mile Beach. Welcome the sunrise in spectacular fashion at this oceanfront resort tucked away on the island's east end. Enjoy tropical furnishings, a variety of dining options, attentive service, a spa and world class diving and watersports. *Price is per person, based on double occupancy at the Margaritaville Beach Resort, Grand Cayman, between Atlanta and Grand Cayman. Sunday departures and Wednesday returns via nonstop service on Delta and certain Delta codeshare partners, and is valid for specific travel dates July 28 – 31, 2019. Advance purchase requirements vary. Other travel days and dates and accommodations are available at other prices. May require travel on specific flights or times; blackout dates may apply. 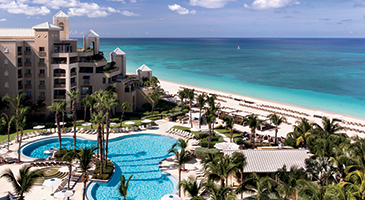 Purchase any Delta Vacations flight and hotel package from any Delta Vacations origin in the U.S. or Canada to Grand Cayman, April 10 – June 10, 2019, for travel April 10 – September 30, 2019. 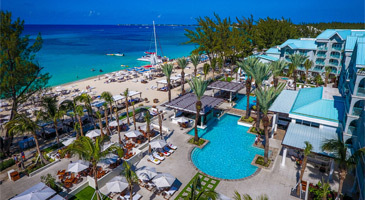 Participating hotels include: Grand Cayman — Margaritaville Beach Resort, Grand Cayman Marriott Beach Resort, The Westin Grand Cayman Seven Mile Beach Resort & Spa, The Ritz-Carlton, Grand Cayman and Sunshine Suites Resort. Minimum 2-night hotel stay required. Book a Pool View Room for the price of a Standard Guest Room. Book April 10 – June 10, 2019, for travel April 10 – September 30, 2019. This offer may be combined with promotional discounts. Honeymoon couples who reserve this resort on the Romance booking path will receive a complimentary daily breakfast buffet for two, plus a bottle of sparkling wine and strawberries delivered to their room. This offer may be combined with the resort's honeymoon amenities. Up to 14% off rooms. To receive the highest discount of 14%, travel August 18 – September 30, 2019. Honeymoon couples who reserve this resort on the Romance booking path will receive a complimentary in-room amenity, such as a bottle of sparkling wine. Offer is valid for honeymoon couples staying at the resort within six months of their marriage, and purchased through the Romance booking path. Honeymoon couples must be prepared to present a copy of their marriage certificate or their wedding invitation at check-in. This honeymoon amenity is subject to change, and has no cash value. 1 free night is included with a 4-night stay, for up to 3 free nights on a 12-night stay. Package prices include supplementary resort fees on each free night. Book April 10 – June 10, 2019, for travel July 1 – September 30, 2019. Stay 4 nights or longer in a Club room, and receive a $100 resort credit. Club rooms include: Club Resort View Room Queen, Club Resort View Room King, Club Oceanfront Room Queen and Club Oceanfront Room King. Receive free, daily continental breakfast. 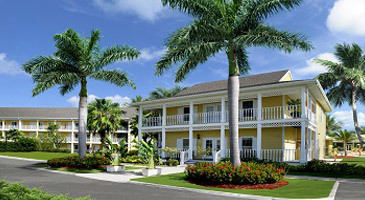 Full exchange privileges at sister property across the street on Seven Mile Beach. A complimentary shuttle between resorts is also included. Privileges include use of the sauna and steam room in the spa, pool and beach wait service, use of non-motorized watersports, daily activities and more. 4-night minimum stay required. Only valid on the all-inclusive plan. Book by July 31, 2019, for travel April 22 - December 19, 2019.